I wanted to submit an inspiration shoot I produced in Napa, shot by my friend and colleague Scott Andrew Studio this past July. 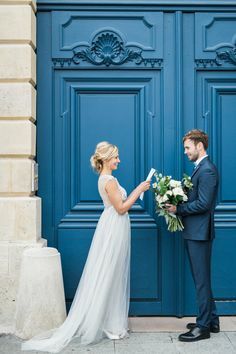 The purpose of the shoot was to show how a European destination wedding, which might be way out of budget for many people, could be achieved in the United States and even locally for Northern California residents. Amber you look Hot!!! Gorgeous! beautiful work scott & tracy! This is just beyond words. If I didn’t read the copy I would have thought it was an actual event! Great attention to every last detail and simply perfect photography. oh I love the white dresses and the orange. Scott did an amazing job with the photography. Just gorgeous. Wow, lovely! I love the colors (well, it’s kind of the colors I choose, so… :) ) and the dress is gorgeous. 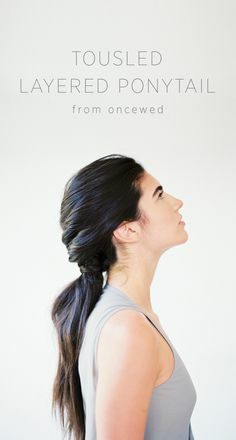 Too bad we can’t see the bride’s hair in a close up, it’s looks really pretty too! And I need some inspiration on that field, don’t you have a pic hidden somewhere?! Pretty! 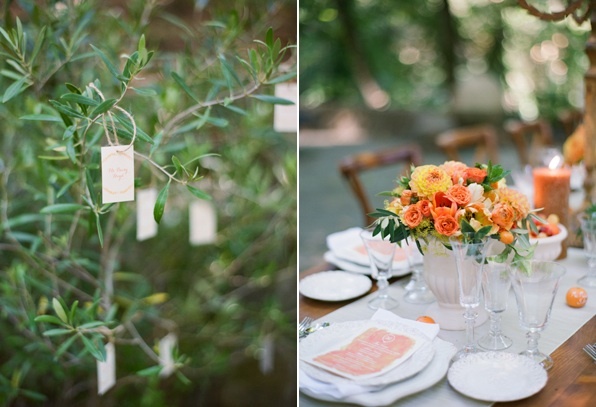 I love all the soft peach tones…rustic, yet elegant. So much fun to be behind the scenes this time. Everything was beautiful! Really nice, as I live i Europe I would say very authentic. Nice colors, too. 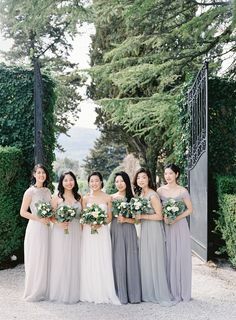 Nice touch, each bridesmaid is wearing a different style dress but all in the same tone. Wow. This is gorgeous! 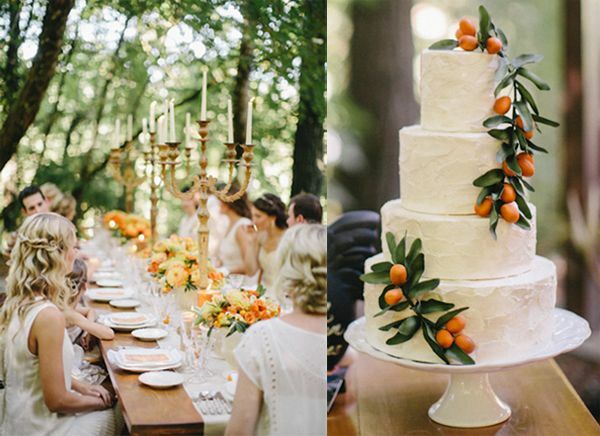 I love the peachy orange tones… I feel like that color isn’t used enough in weddings, but paired with a soft white palette, it’s lovely. Splendid collaboration; I can imagine myself being in Italy while scrolling through these images! 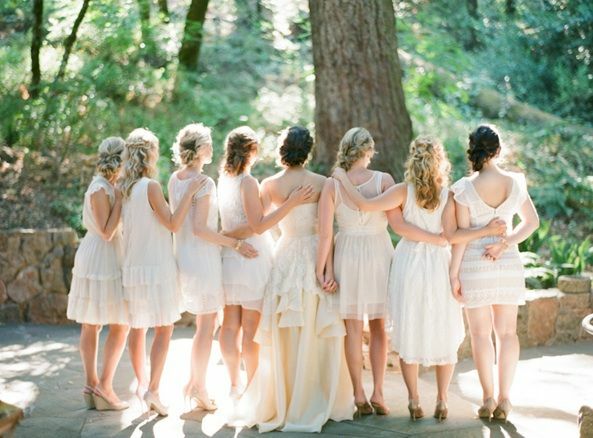 Absolutely lovely rustic styled wedding. 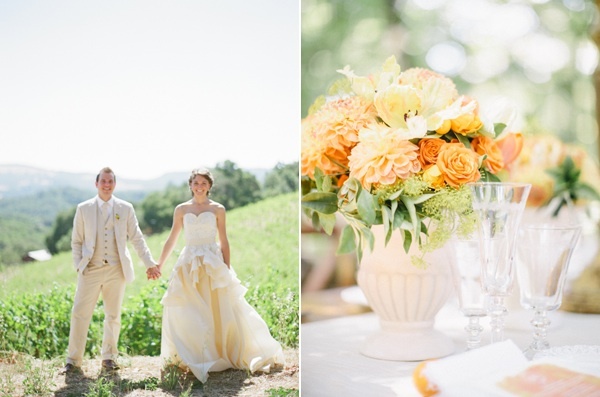 The peach/orangey hues are so beautiful for this look and merges in perfectly with the overall look of the wedding. 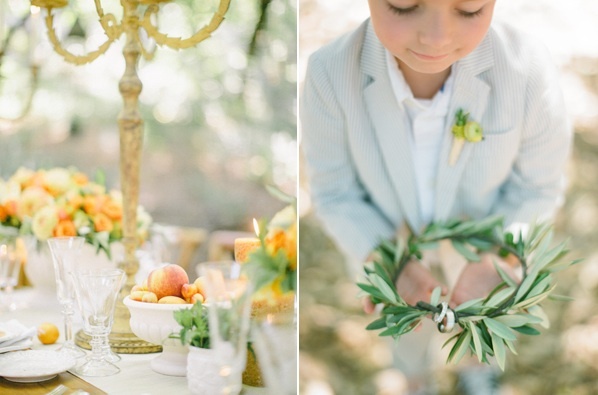 Love,love, love the modern twist on a ring pillow and the lil ring bearer is adorable! What a fabulous idea for a wedding. Love the feel of the whole thing. 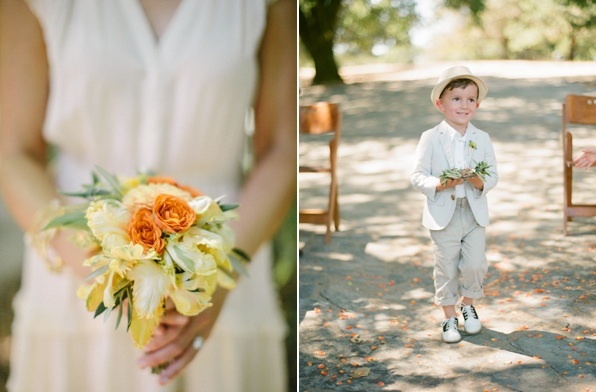 The muted white with lace and the orange and yellow flowers were perfect. 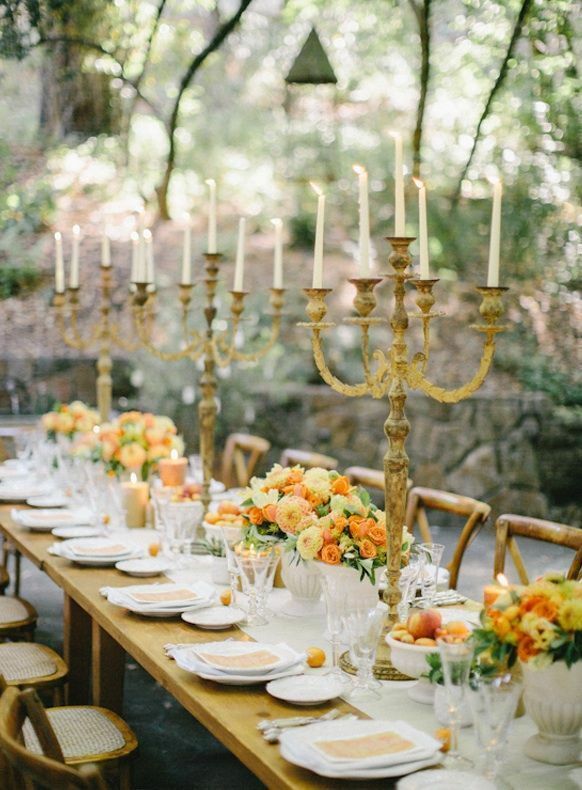 I thought the gold candle holders on the table made the setting so elegant. Fabulous job by all, especially the clothes, which just went so beautifully with everything. Fabulous job by Melanie from Head Over Heels. Stunning!!! Now if only I could get me a groom. Can you please tell me if this venue is available for hire? Lovely wedding! 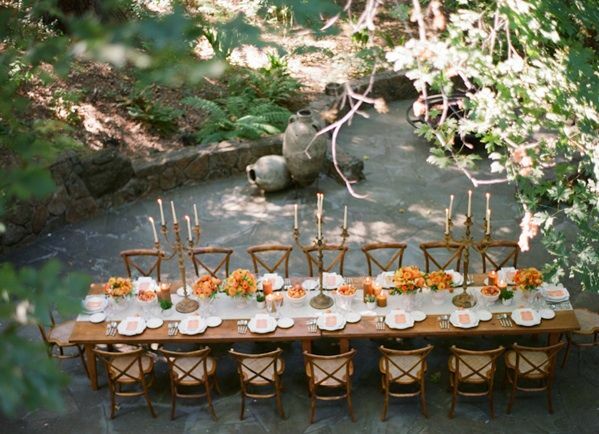 The arrangement and decoration of the chairs and tables look amazingly beautiful. 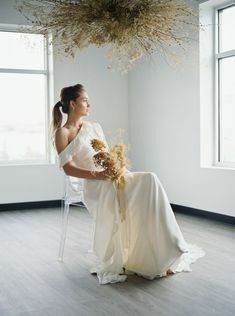 Nice rustic wedding theme! Love the reception table! Looks like a story book wedding. 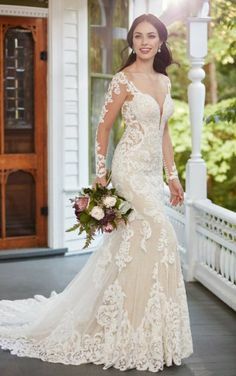 The dress is amazing! It’s so beautiful! 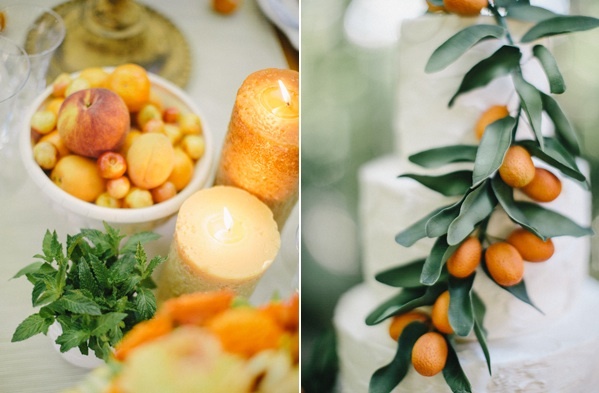 I love the color themed you chose for this rustic wedding. The light grey/khaki color theme works greats with the rustic location. My name is Eva, I’m interning at Wedding Gifts Direct and I’m gonna get married next year. 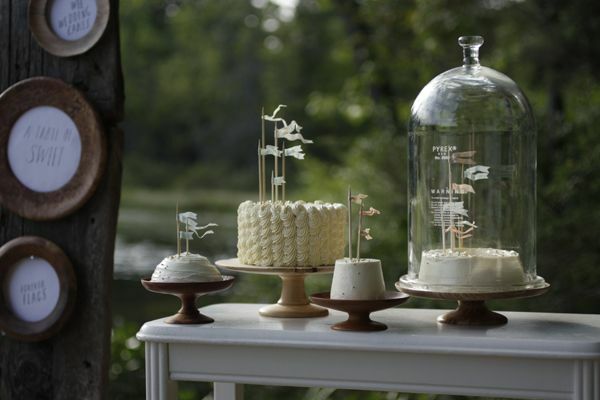 I found all your pictures inspiring and I’m going to use some of these ideas for my wedding! Thank you so much!. 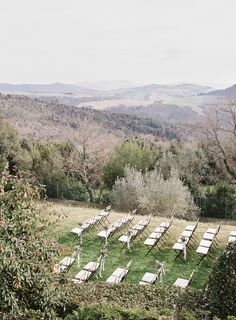 We live in San Francisco and have been searching for Napa wedding locations. Can you tell me where this was? It looks so lovely and perfect. 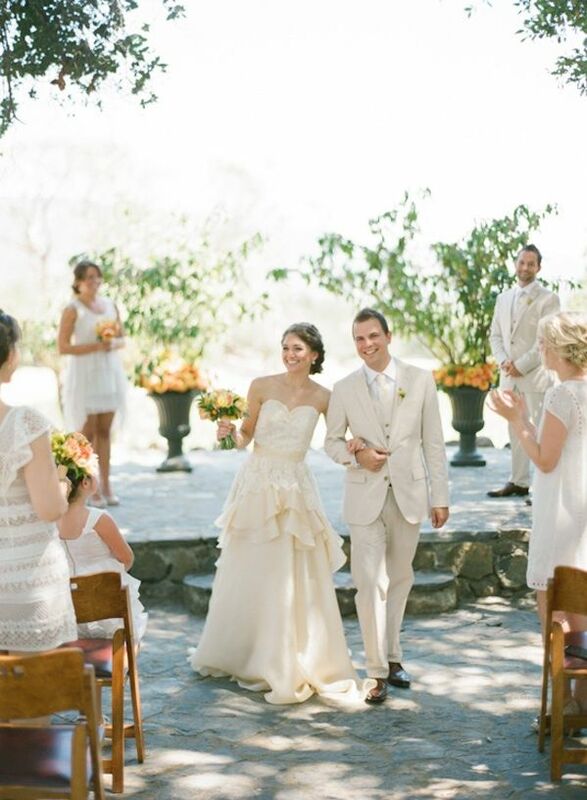 Wow so beautiful silk wedding dress and romantic wedding ceremony outdoor. 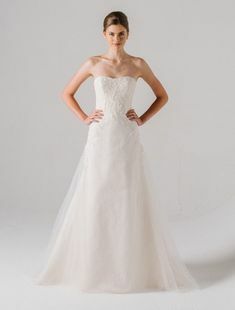 Does anyone know what type of rings there using? Does anyone know what residence this is in Napa? WOW. is all I can say. What a beautiful colour scheme! and that cake?!? Absolutely fantastic! Love the color scheme, and her dress is beautiful! 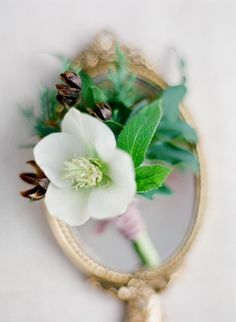 Very beautiful wedding theme! Really liked the colors! gorgeous white theme with wonderful selection of white dress and white flowers. Wedding theme was artistically created by you, thanks for sharing such nice piece of article here. Great idea, cute little boy still the show, everything is good about the blog! Congress to booth of you.